The little town of Pinewood can't wait for Christmas this year. They're going to celebrate by putting up a giant Christmas tree in the town square, and asking all the townspeople to hang a Christmas wish on its branches. 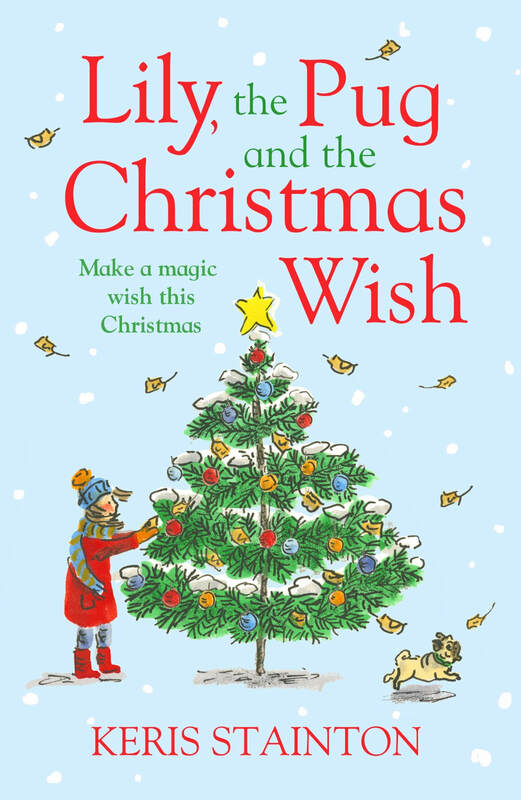 Everyone is feeling very festive, including nine-year-old Lily - although she's not sure she believes in wishes. Lily and her little brother James soon discover that something must have happened during the storm - the town's wishes have been granted, but to all the wrong people! Lily, James and Bug must work out which wish belongs to who, and sort everything out before Christmas Eve - otherwise no one will get what they want for Christmas. I was interviewed about this book by an actual pug!